When you come to Touch in Milltown, New Jersey, for the first time, you'll meet a dedicated team of beauty salon professionals ready to give you the best treatment of your life. This hospitable bunch will keep you coming back. Anthony's run of success with salons in Middlesex County continues with Touch. Having been in the industry since 1996, his previous salons have been nominated for Best Salon in Central New Jersey five years in a row by the Home News Readers' Choice Awards. This is a direct reflection of a career devoted to exceeding expectations and providing a professional and relaxing environment for clients and staff. As a licensed cosmetologist with a tremendous amount of experience, he takes pride in cobbling together a great staff and working side by side with this talented crew every day. 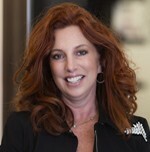 After three decades in the beauty industry, Jenn has joined Anthony Cuccio as a Touch stylist and staff mentor. She's been a member of the Congress of Colorists since 1982, served as a licensed beauty school instructor in Arizona, and worked closely with the late Daniel Gianfrancesco from 1979 to 1990 before opening her own salon in 1991. Jenn has traveled to Bologna, Italy, for CosmoProf, participates in continuing education, and is well-respected among her contemporaries and peers. Her talent for style and color is seen in the numbers of dedicated clientele who travel to Touch from Pennsylvania, other parts of New Jersey, and even from as far away as Florida. Once you sit in Jenn's chair, you'll never forget her. In her spare time, she is an Earth-friendly animal and beach lover who enjoys biking, shopping, and spending time with her son, Cooper. Brianna is a talented artist who has been in the industry for four years. 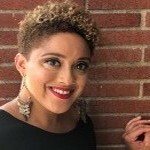 Brianna is a certified Devachan stylist trained at the Deva Curl academy in NYC. Besides specializing in curly hair, Brianna is certified in PerfecTress hair extensions. She also specializes in all things fun! Balayage, makeup, and all trendy styles. Elizabeth brings a variety of skills to Touch. She studied dimensional color, ombre, and balayage with George Papanikolas, and she's taken classes with Joico's Stephanie Baxter and Benn Calissi. Whether she's giving clients the hottest haircuts, providing gorgeous color, or creating a stunning upstyle for a special occasion, Elizabeth always gives 100% and believes "if you look good, you feel good, and if you feel good, you do good." In the industry for over 25 years, Celeste specializes in corrective and dimensional coloring, and precision and creative haircutting. She enjoys providing her clients with an attentive salon experience and partnering with them to create an individual style that best suits them. With a master and advanced level certification in Goldwell color and color correction, she's also trained in Logics/Matrix color, Redken color and haircutting, and Sassoon haircutting techniques. With over 30 years of wide-ranging industry experience and a special certification in Coppola Smoothing Treatments, Sharon also works on our waxing team. She believes that being a true professional means making sure every client is satisfied, no matter what it takes. This is accomplished by providing a positive experience with the utmost in comfort throughout the visit. Vanessa has 18 years of dedicated experience in the hair world. When consulting with guests she takes deep consideration of the client’s lifestyle, maintenance, health status of the hair, and at home care. Her techniques are custom tailored to each individual person. Her prior education and influences are formulated from “The Doves,” Beth Minardi, Wella Studio, Sam Villa, and Nick Arrojo. Her passion is precision, in color applications and also offers special occasion styling. Vanessa is always striving for perfection. Jessie has been a hairdresser and makeup artist for ten years with a background in multiple cutting, coloring, hairstyling and makeup application techniques. She successfully collaborates with clients to produce personalized, updated hairstyles and cosmetic looks while being attentive to the client's specific needs. She keeps up with current beauty trends by continuing her education with various hair and makeup product lines.